Philadelphia community support for strikers. 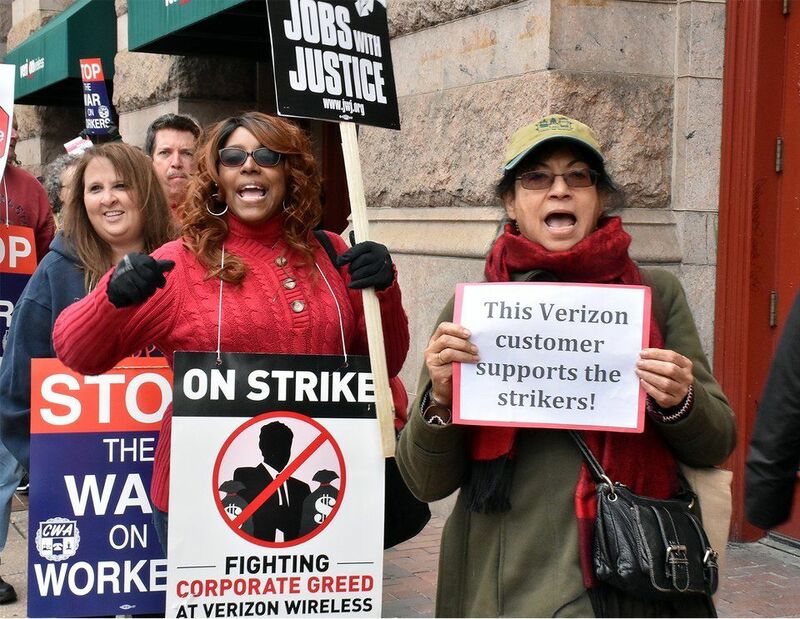 May 9 — Workers on strike against communications giant Verizon are staying strong. 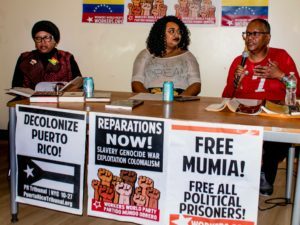 On May 5, a militant National Day of Strike Action was held, with the multinational working class across the U.S. answering the unions’ call with a groundswell of support and solidarity. Verizon demands that workers accept “forced relocation” assignments, losing their jobs unless they take any assignment within 80 miles of their current job. 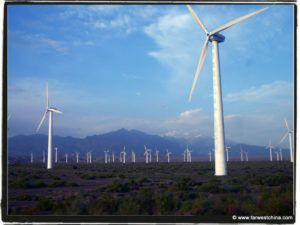 This would have workers commuting to their jobs two to four hours a day, with additional transportation costs, as well as having to leave home before dawn and getting home too late to do more than say “good night” to their loved ones. Thousands of workers rallied May 5 at over 400 protests supporting the strikers, who are holding the line for workers’ rights. A wide spectrum of people participated, including those in states where Verizon workers aren’t striking, workers in other unions, workers not yet represented by unions and community activists fighting for justice on many issues. 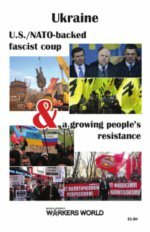 Fifteen striking workers arrested at Verizon shareholders’ meeting, Albuquerque, N.M.
Strikers in Huntingdon continue West Virginia tradition of militant unionism. Verizon workers in DeWitt, N.Y., condemn company’s ‘Rat’ CEO. 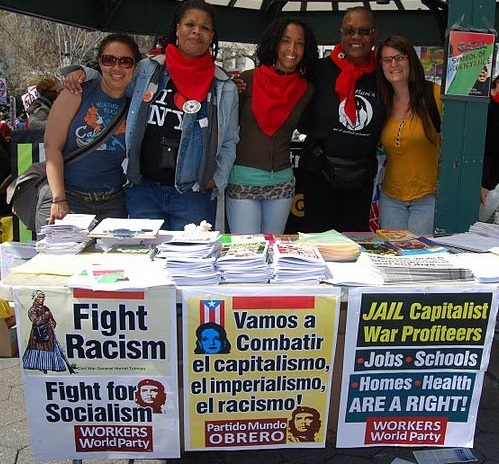 People’s Power Assembly in New York at National Day of Strike Action, May 5. ‘Don’t cross that picket line,’ say workers in Oakland, Calif. In Albuquerque, N.M., union leaders organized a militant protest outside a Verizon shareholders meeting. Four days after Verizon canceled all striking workers’ health insurance, the company’s shareholders voted not to limit “golden parachute” severance payouts for management, even if triple the executive’s base salary. In response, union members and community supporters dropped a 70-foot banner that read, “Verizon: Good Jobs, No Greed,” across the busy Rio Grande Boulevard and lay down on the banner, blocking traffic. Fifteen people were arrested as 250 supporters continued to protest outside the meeting. At a raucous May 2 unity rally in ­Dewitt, N.Y., a suburb of Syracuse, striking workers taunted a giant blow-up rat with a sign proclaiming Verizon CEO Lowell McAdam “the biggest rat of all.” McAdam had shown up in person at the call center picket line, attempting to intimidate the workers, which is a violation of National Labor Relations Board rules. Support at the rally included CWA and IBEW locals from Binghamton, Buffalo, Elmira, Syracuse and Utica, as well as members of the Teamsters, teachers, postal workers and office workers unions. United Auto Workers Local 624 retirees showed up — local legends because, even as the company closed their plant around them, they steadfastly refused a “last, best and final” offer because it lowered their wages to $15 an hour. Striking workers at the rally answered the insulting Verizon “last, best” offer they’d just received by flinging the letters down as trash in front of the Verizon building. Workers came together in Huntington, W.V., to picket Verizon Wireless in solidarity with CWA and IBEW workers. Members of the Service Employees, Steelworkers and Letter Carriers unions took to the street. The Appalachian Workers Alliance took part as well. Boston workers and activists are holding a monster “I Stand with Verizon Workers” lunch-hour march near downtown City Hall on May 11. Striking IBEW Local 2222 has been a rock of support for community and other union struggles, including the successful two-year fight against mega conglomerate Veolia/Transdev carried out by the Boston School Bus Drivers, Steelworkers Local 8751. Benji Pyles also contributed to this report.